Much has been written about risk factors for depression but we know less about depression resilience factors. Why do some people at high risk develop depression, while others do not. A study conducted at Stanford by Adina S. Fischer, MD PhD, and colleagues, suggests that increased regulation of limbic areas (the parts of the brain that are most directly involved in the experience of emotion) by the cortex (the part of the brain involved in planning and assessment) increases depression resilience in high risk teenagers. The study looked at the strength of neural connections in the brain using functional MRI. It compared three groups of adolescent girls: a group of adolescent girls at high risk of developing depression because they had a mother who was depressed who went on to develop depression, a similar group at high risk who did not develop depression, and a low risk control group. 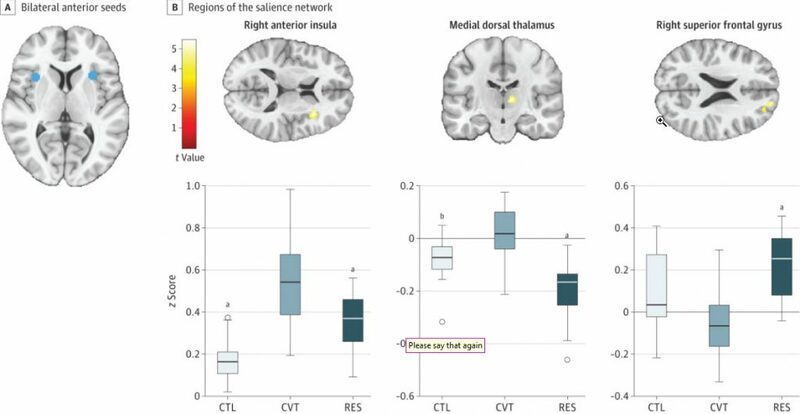 Compared to both the control group and the high-risk group that developed depression, the resilient teenagers (who had genetic and environmental risks for depression but didn’t develop it), showed increased connectivity between between the amygdala and prefrontal cortex (specifically the orbitofrontal cortex) —two regions known to be involved with emotion processing and regulation. The amygdala is the reason we are afraid of things outside our control. It also controls the way we react to certain stimuli, or an event that causes an emotion, that we see as potentially threatening or dangerous. 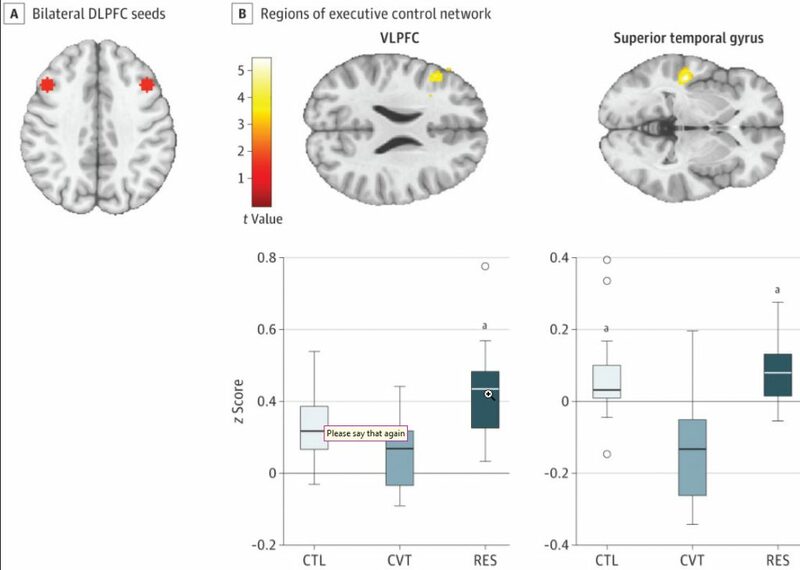 Depression resilience was associated also with greater connectivity between regions of the executive control network (implicated in explicit emotion regulation, including cognitive reappraisal and impulse control) (which is centered in the dorsolateral prefrontal cortex) than did adolescents who developed depression and the control peers. The dorsolateral prefrontal cortex is of particular interest in states of depression since it is the area that is stimulated by TMS. anchored in the anterior insula (AI) and dorsal anterior cingulate cortex. The SN also includes three key subcortical structures: the amygdala, the ventral striatum, and the substantia nigra/ventral tegmental area. Both high-risk groups (resilient and not resilient) differed from controls in salience network connectivity (the insula), with the strongest salience network connectivity in the converted group. 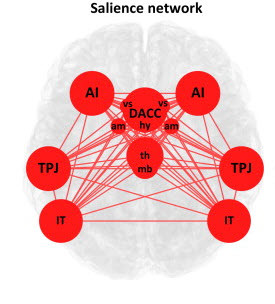 The resilient group had greater salience network connectivity with the superior frontal gyrus. For example, the work of Kenyan, et al, which showed that using fMRI feedback to the patient provided in real time it is possible to increase cortical control over amygdala activity, is in line with this model of depression resilience.